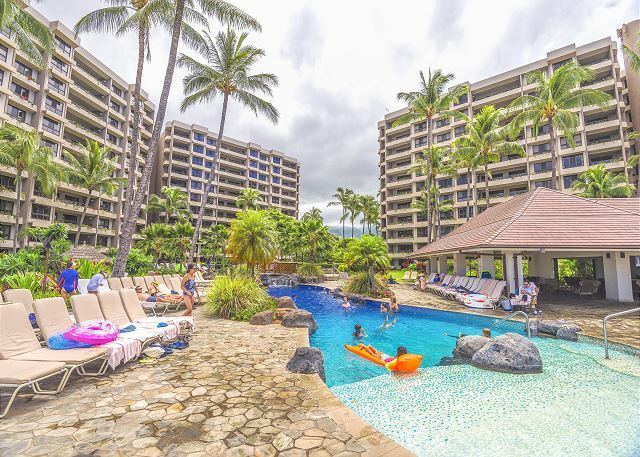 Kaanapali Alii is a luxury oceanfront resort located on World Famous Kaanapali's white sandy beach. 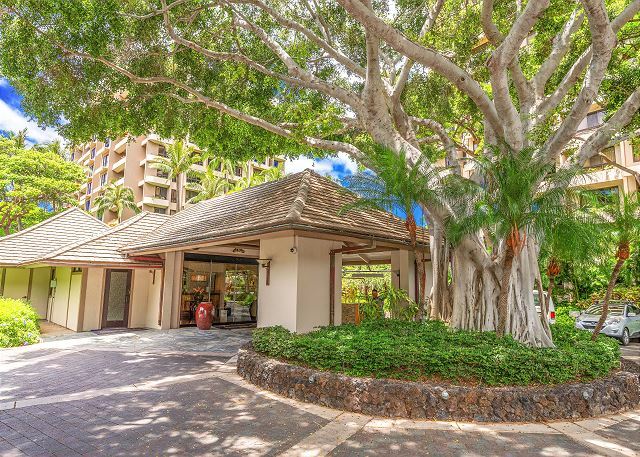 Kaanapali Alii's oceanfront towers are set on a wide stretch of Kaanapali Beach, a 3-minute walk from Whalers Village and 36 holes of championship golf, and a 10-minute drive from historic Lahaina Town. 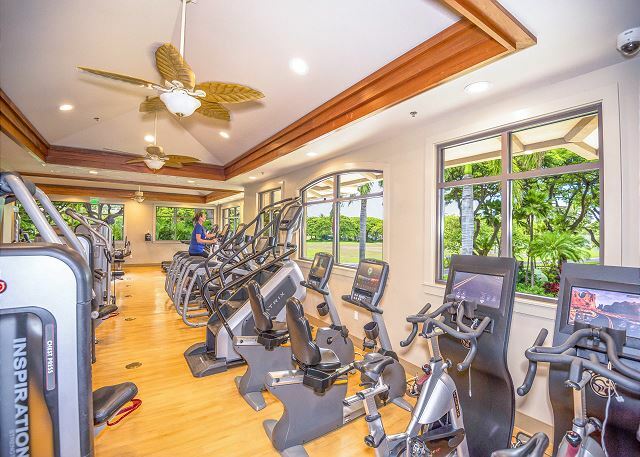 The on-site amenities include a pool, beachside gas grills, the Alii Athletic Club with state of the art Fitness Equiqment, and separate yoga room where yoga classes are offered on select days. Spa services and treatments can also be arranged. 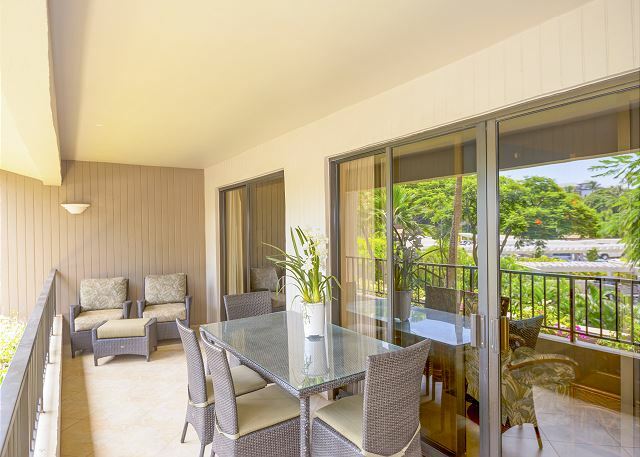 The residences at Kaanapali Alii have full kitchens, 2 bathrooms, washers, dryers, separate living and dining areas, and private lanais. 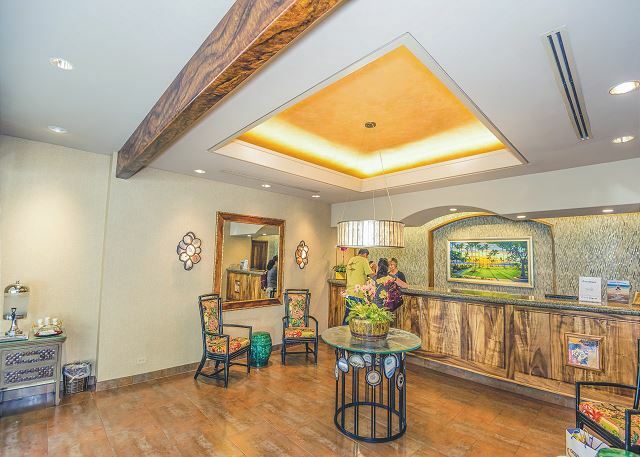 Your experience starts with a friendly and welcoming check in at the opulent, remodeled front desk where you will receive keys to your room. 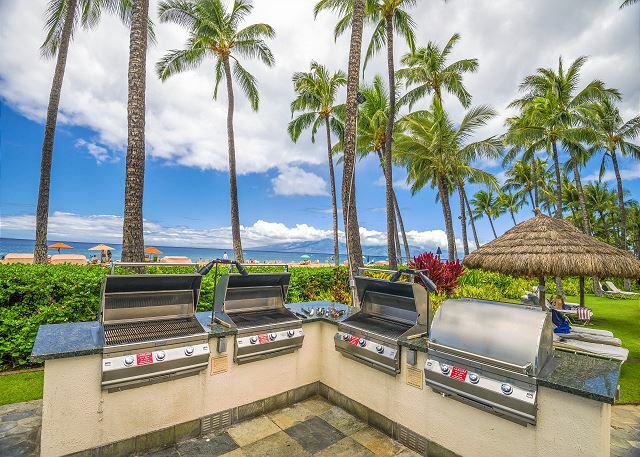 Daily, fresh beach towels are provided by the pool, exclusive for guests staying at the Alii. 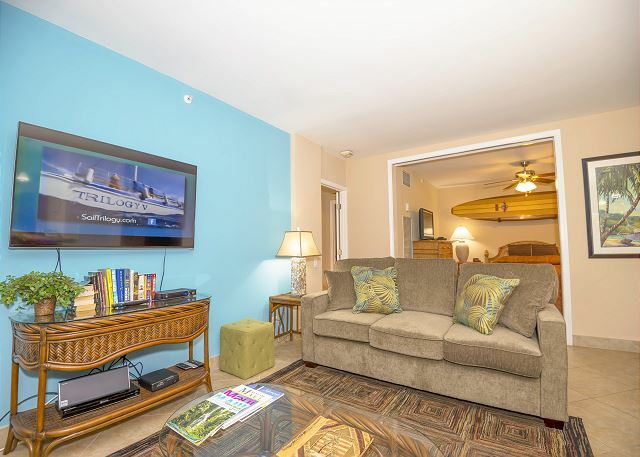 Unit 433 is an upgraded, remodeled and totally refurnished 1 bedroom suite, plus den (2nd bedroom with sliding doors for privacy) with 2 upgraded bathrooms. The master suite features a wireless dual control split-king adjustable bed to provide maximum comfort (and control snoring!) The sheets are brand new, ultra comfortable “Dream-fit” custom sheets. 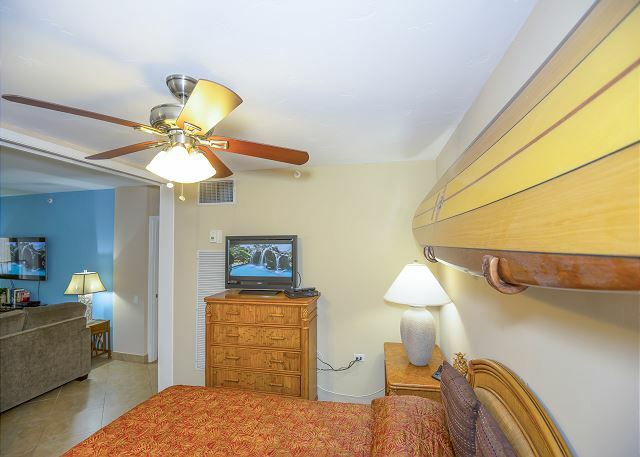 The unit offers free wifi, and brand new furnishings throughout the living room, and bedrooms. 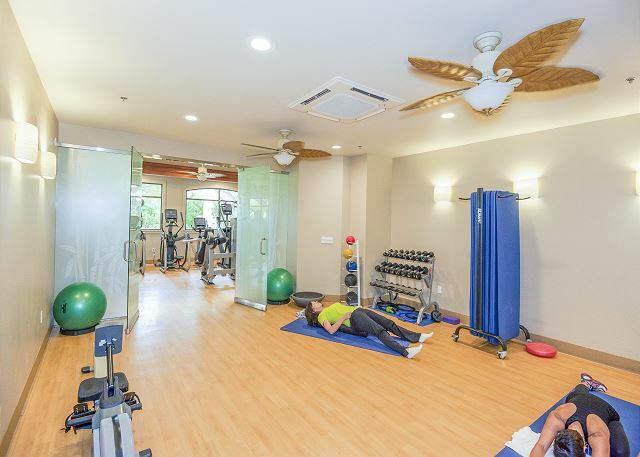 If you are looking for a residence and home away from your exclusive home with all of the conveniences and standards that you expect, this is the unit for you! We do offer a "price match guarantee" on this property. Please call for details. 5/5 stars Review by John K.
Excellent room. 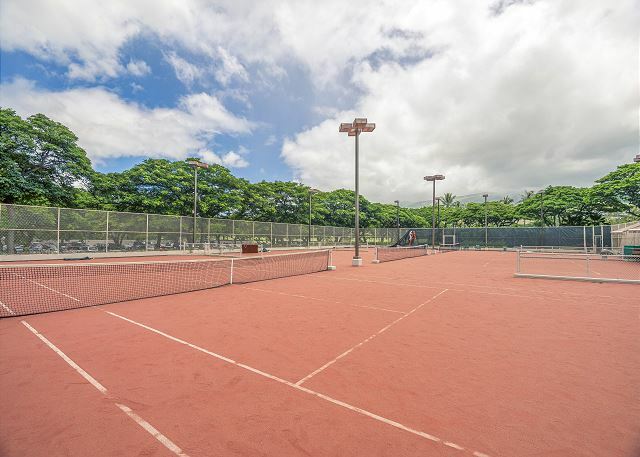 Small issue with check out date that was quickly resolved by Epic Realty.Highly recommend as the building location is right in the heart of activities. The resort and condo were amazing. The grounds were very well maintained and the personnel was terrific. The condo was a home away from home. 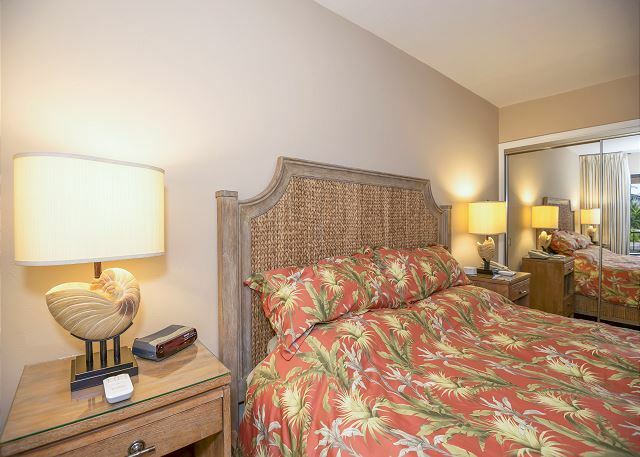 Walking distance to Whaler's Village and the best beach on W. Maui. Will definitely come back to this resort and this condo if available.Thanks for making our vacation one to remember. 5/5 stars Review by Amy E.
The condo at the Alli surpassed our expectations - we were VERY happy with the property. It looked just like the pictures, but was even more spacious than we expected. 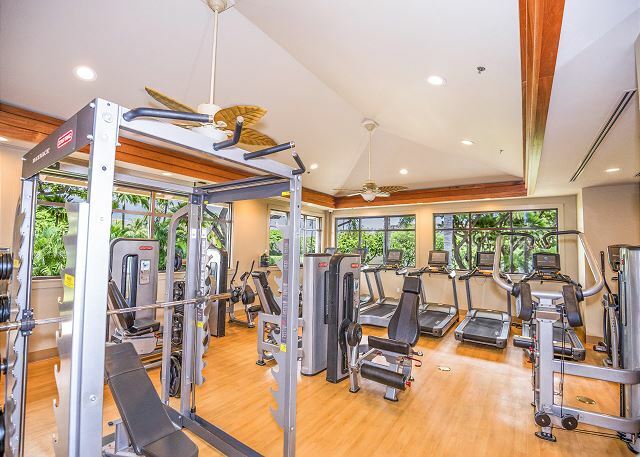 It was updated, had a well-planned layout, and full of amenities. 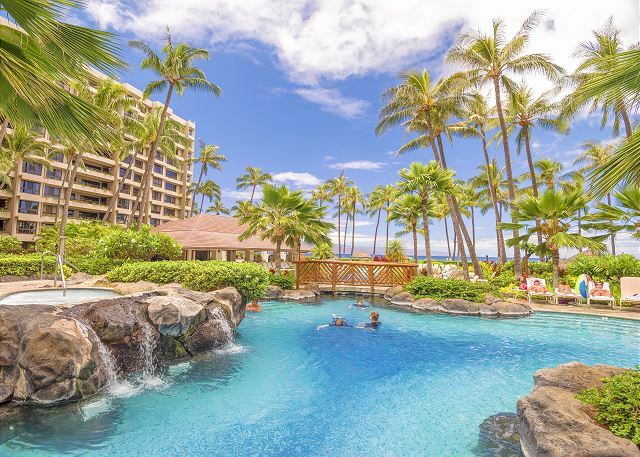 You can't beat the location - enjoyed the pools, beach and the Kaanapali beach path. The property management as well as the Alli personnel were all professional and helpful. Highly recommend this property! First Time Vist, Will Definitely be Back! 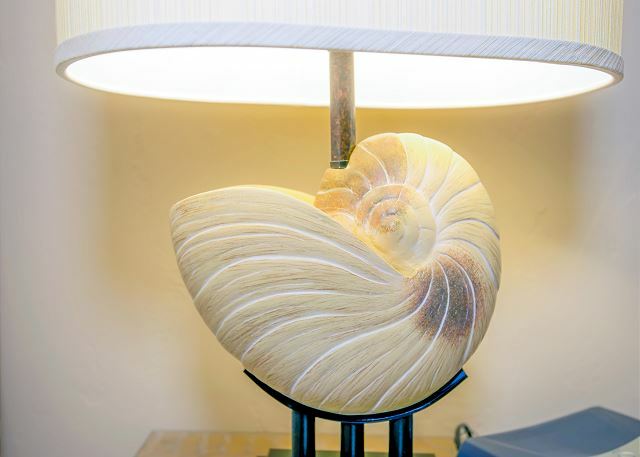 5/5 stars Review by Joe S.
We had a great time on our first visit to Maui! The property and condo was beautiful. 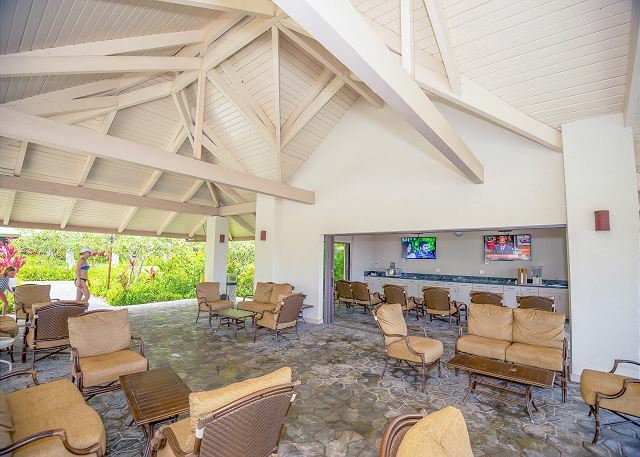 The grounds and buildings are very well kept, the staff was very helpful and friendly. From the moment we arrived- the check in staff helped us to our room with all our luggage and groceries (huge help). The staff and concierge pool was more than accommodating ( storage of boards and help with setting up trips). Everyone seemed to go above and beyond. The condo was perfect, well kept and had everything we needed. We would repeat the exact same stay without a doubt. 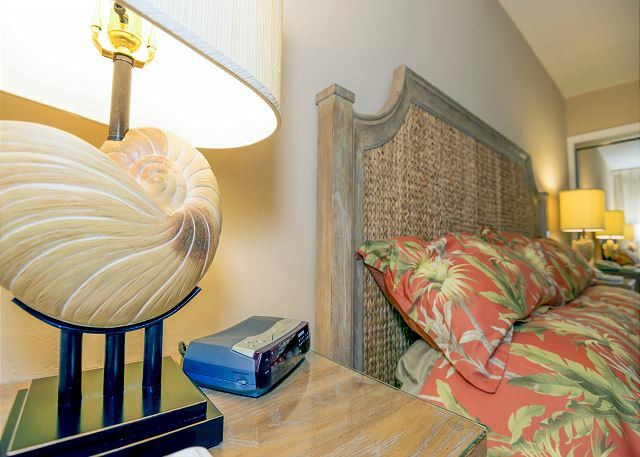 5/5 stars Review by Amy T.
We stay at the Alii frequently and always enjoy this property/location. 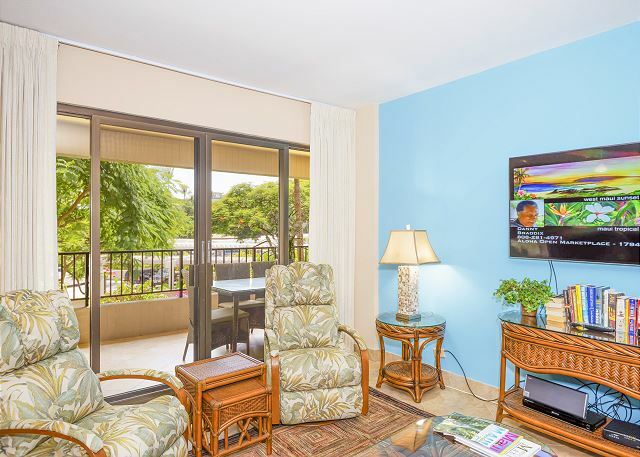 Alii is a great location on Kaanapali Beach, short walk to Whaler's village and short drive to Lahaina. The property is not as crowded as the next door resorts, which is nice. 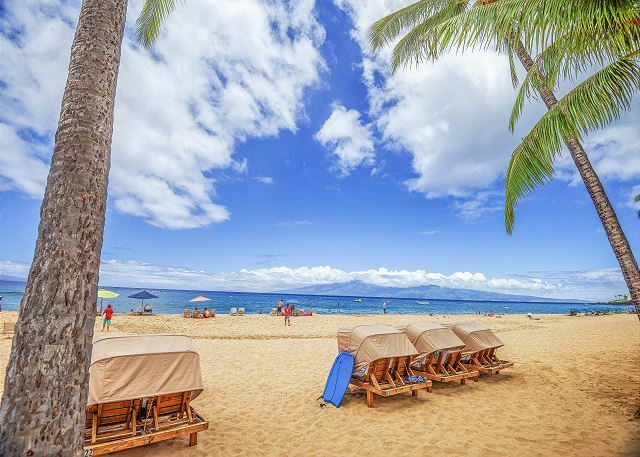 The stretch of beach fronting the Alii is the best along Kaanapali. 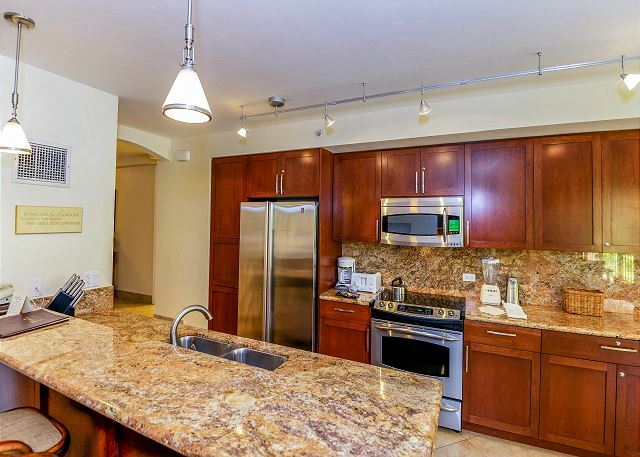 This condo was nice, looked like it had been renovated not long ago. Mostly clean when I arrived - the floor could have been cleaned better. 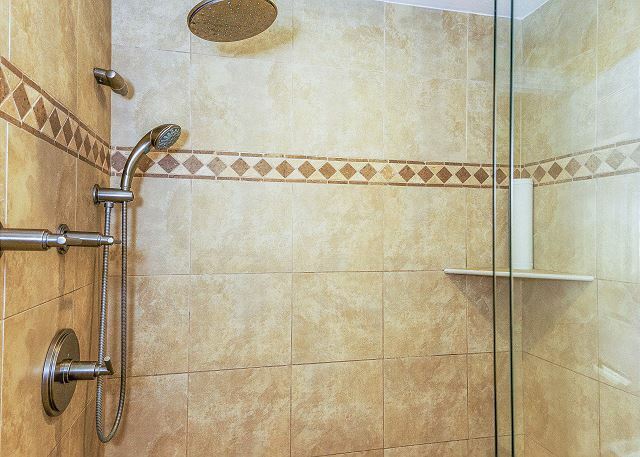 Great shower in the master bath! View could be better (overlooks parking garage) but not too big a deal since we spent most of our time at the beach and pool. Would stay here again! This is my 10th+ visit to the Alii, first time renting through the owner. Great experience, price was great. The unit is very comfortable and very well stocked. Great beds. Noticed a recent negative comment about the unit not being clean - this was not our experience. The unit was clean; I really looked it over because of other complaints, found one hair in extra bathroom drawer, that is it. The unit has everything from beach chairs, umbrella and boggie boards to spices, laundry detergent and sun block. The huge tree out the window blooms in red flowers and was stunning. This unit is not an ocean view but you are not paying for an ocean view and the tree is beautiful. Easy walk to shopping and restaurants. Nice pool, beach towels provided, pool staff used to be less cranky. 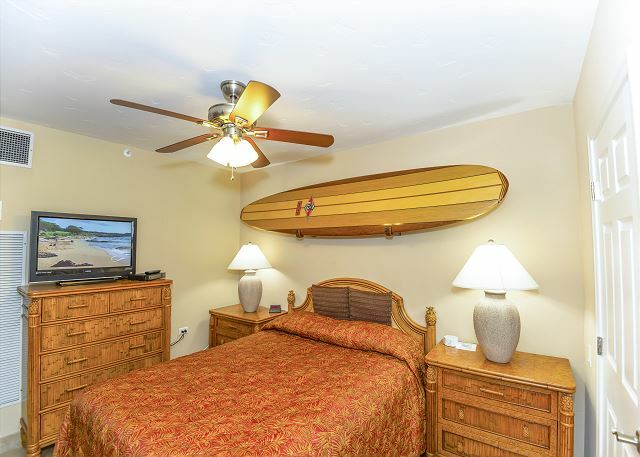 1/5 stars Review by David C.
We reserved this unit 8/13 to 8/17 but only stayed for two nights. The pictures are NOT accurate at all. The view for this property is a parking structure. The unit was NOT clean either. Dishes, pots and plates were dirty. The master bed was two twin size beds pushed together and the bed sheets were stained and dirty. There was 1 extra blanket however it was also stained and filled with stain. Couldn't get extra blankets through the Alii and the property manager was no where to be found at 8pm. The "extra room" sliding doors were broken so you couldn't even shut the doors. Also, they have been ongoing construction directly next door and it had very strong paint smell coming into this unit. We were told by the front desk that the construction next door has been ongoing since 2013! Had we known about the ongoing construction, we would not have booked this unit. We politely asked the property manager (Epic Realty) to help us any way that they could, but they didn't do anything at all and told us to look at the contract. 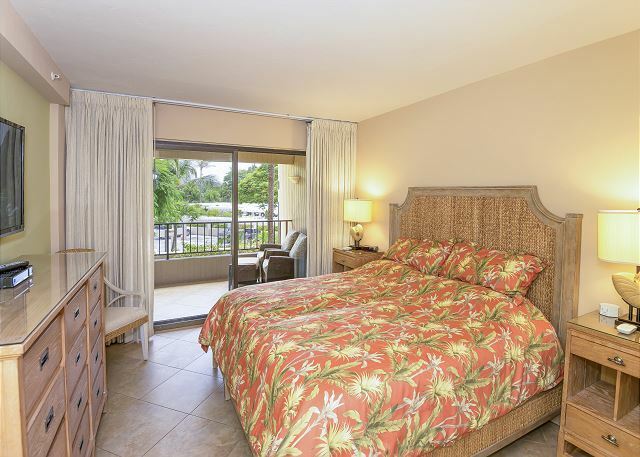 We went straight to through Alii and got another room (#112), which was excellent and cheaper. DO NOT stay in this room at any cost and don't bother dealing with the property manager (Epic Realty). 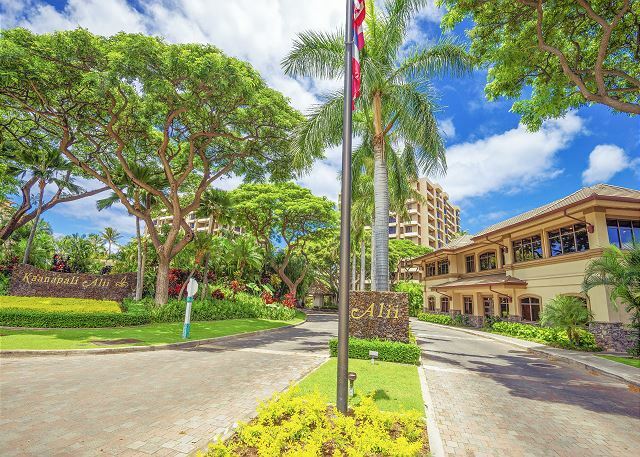 Go directly to the Alii hotel and book through them. TRUST us, save your time and money!!! Dirty bedding and view of a parking structure. 1/5 stars Review by Jean L.
Master bedroom sheets had very questionable stains on them. The pillows were yellowing and one even had black mold dots on it. The listing did not indicate that the only view was that of the parking structure. The pics were of the beach .The HomeAway company wasn't helpful nor was Epic. "You are staying at someone's home what do you expect " was the response received. The Unit was dirty and a $250 cleaning fee was charged. We cut out two nights early and paid extra to stay at a hotel because the bedding was so bad. 5/5 stars Review by Melody D.
Location of unit was convenient and peaceful. The master bedroom bed was awesome ~ slept great! 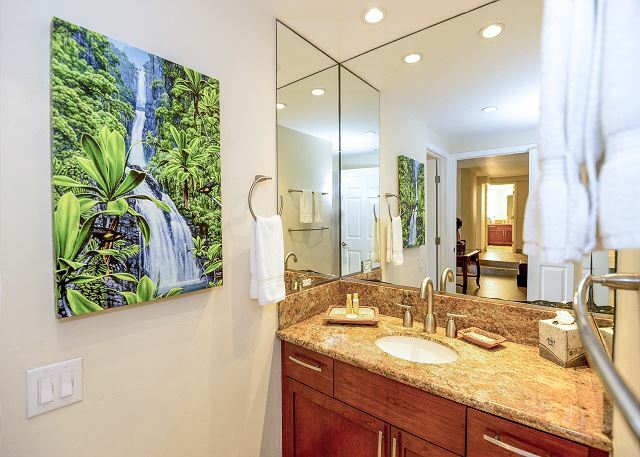 The master bath shower was one you didn't want to get out of; great water pressure and a waterfall shower head. Kitchen was already stocked with many convenient condiments which was nice and having the toys, chairs, and umbrellas available in the unit was very handy! 5/5 stars Review by Sandra B. Our first time staying in Maui as a family of four (kids ages 9 and 11) was terrific. 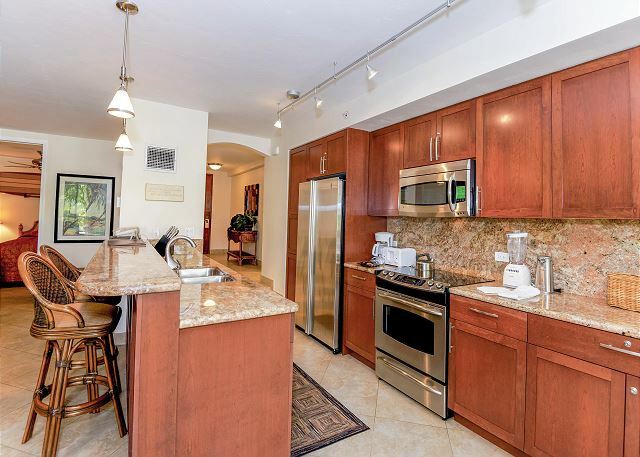 The condo was large and comfortable, with a great kitchen and a well-stocked pantry. We appreciated the boogie boards and beach umbrella, which we used daily. 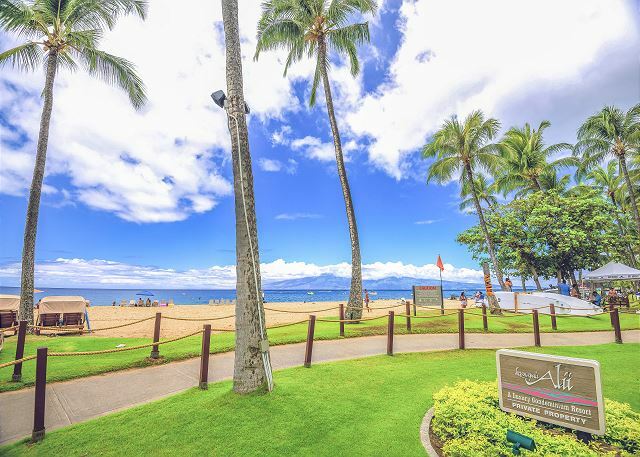 We also loved the location of the Kaanapali Alii, and especially its beach, which was great for swimming. Matt with Maui Activity Concierge was so helpful. I would come back and stay again! Thank you for a great home base for our first family vacation to Maui! 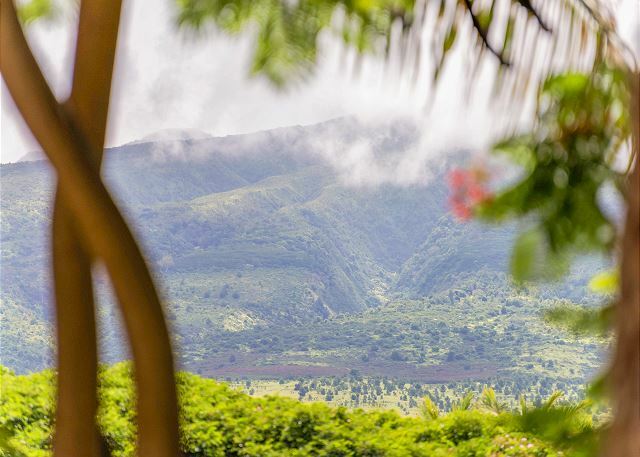 5/5 stars Review by Stephanie V.
5/5 stars Review by Kenneth A.
Epic Maui was amazingly helpful and they found us a great place in a great location. I especially love Epic Maui because I left my phone behind and they promptly found it and shipped it to me! We had an amazing time on our first trip to Maui. 433 was incredibly spacious, with all of the comforts of home. We stopped at a grocery store ahead of time and were able to cook breakfast and have snacks and drinks handy. 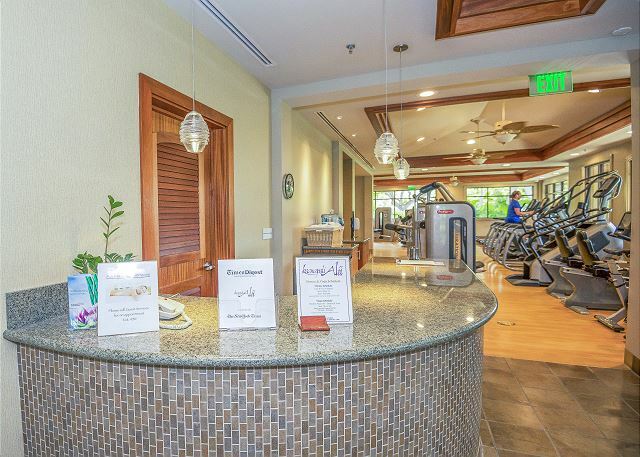 The complex itself feels much like a luxury hotel, with pool and beach access. 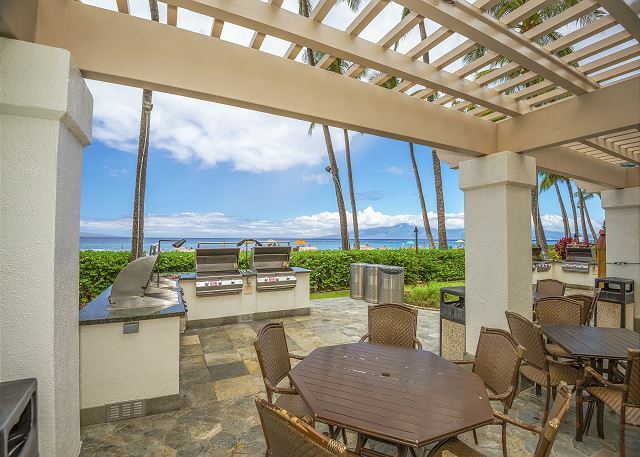 There's a covered lanai by the pool with TVs, and gas BBQs available for free!I can't recommend Kaanapali Alii and this unit enough. I can't wait to come back. 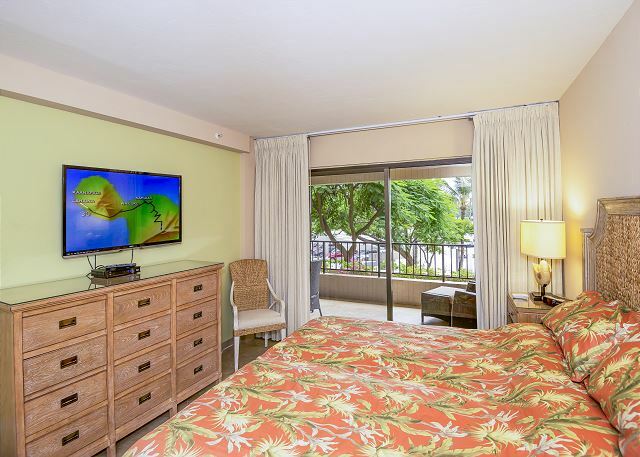 5/5 stars Review by Airbnb Rebekah C.
We had a great time staying at the Kaanapali Alii. The property was clean and well maintained. All of the staff was very friendly. Loved the location right on the beach. Wasn't over crowded with amazing views! 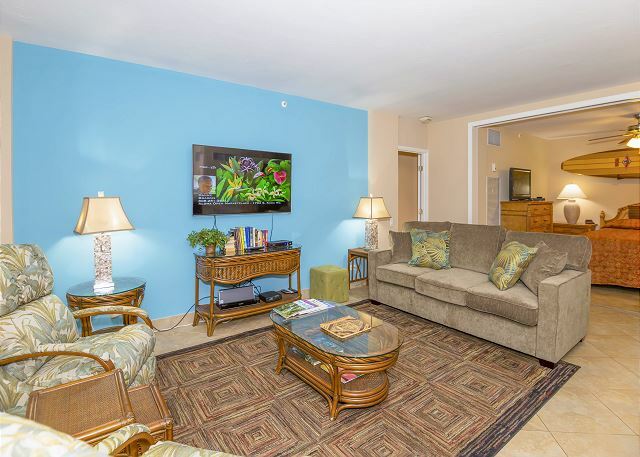 5/5 stars Review by Lisa P.
We had an amazing week in our rental condo. Very spacious and clean. 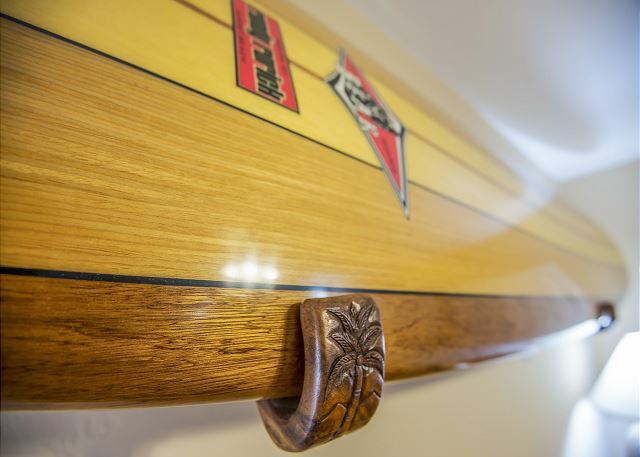 Tons of items to make our trip easier and steps from the best beach on Maui. Would stay again! 5/5 stars Review by DAVID F.
Nice place for family, roomy with updated kitchen. We had a great trip to Maui. 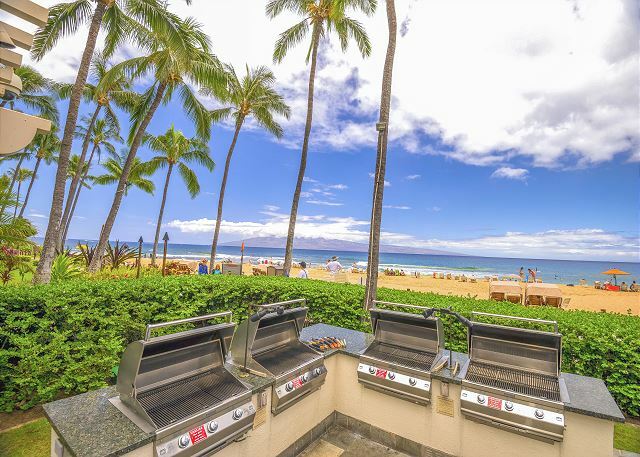 You can't beat the location of the Kaanapali Alii. The unit was very nice and updated. The 2nd bedroom had pocket doors to give it privacy and truly more like a true 2nd bedroom. 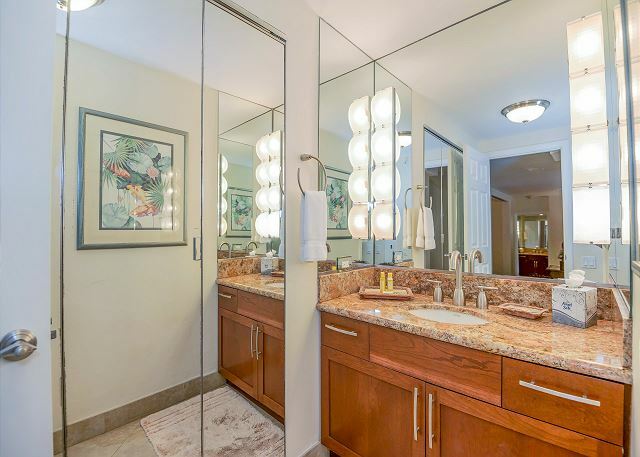 It is so much nicer to stay in a well stocked condo in Maui with separate bedrooms and room to fit the whole family. 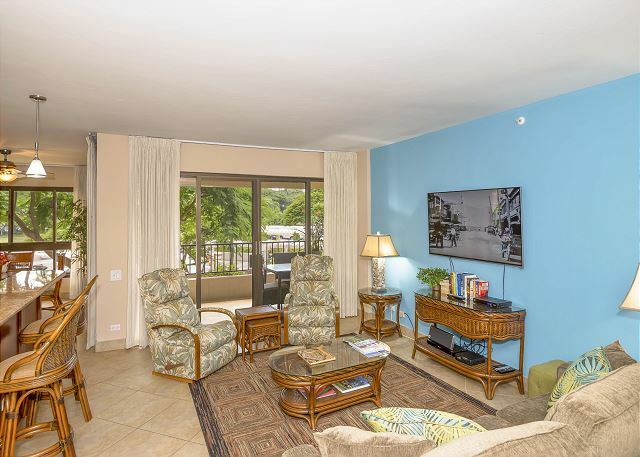 There wasn't much of a view from this unit (parking lot and mountains in the distance with a peak of the ocean from the right spot on the lanai) but we knew this going into booking this unit. 5/5 stars Review by Steven M.
Our family recently enjoyed a vacation of a lifetime that created such awesome memories! Our stay at "The Royal Jewel" was a large part of the memories. The unit was updated, spacious, warm and had everything we needed to feel like we were at home. 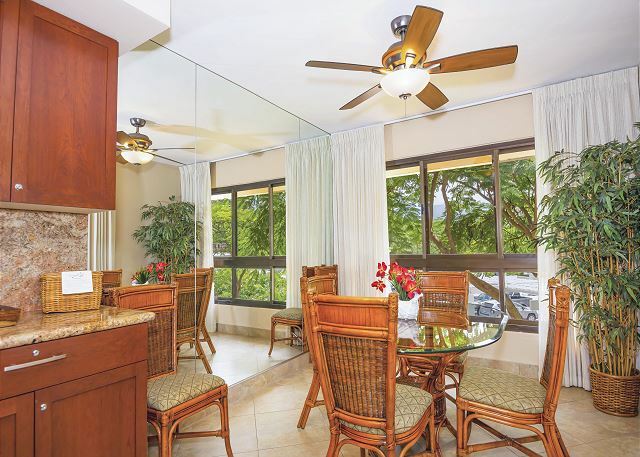 We HIGHLY recommend this unit for anyone wanting to stay in the heart of Kaanapali to experience the beauty of Maui! 2/5 stars Review by Tom W.
AC was very poor. very noisy. never got below 78. cycled on and off every 2 minutes. called 3 times for service. got return call but no service person. Yes I know that they are going to put in new air handlers this fall, but i don't think it will solve the whole problem because it will still be an old central chiller system. Would not stay there again because of poor AC. 5/5 stars Review by Edward N.
This unit was nicely decorated, comfortable and in beautiful, spotless condition. We always stay at the Ali'i and this is the best of the units we've stayed in. The management company was professional and attentive. 5/5 stars Review by Nancy K.
Our stay was wonderful. The condo was perfect. The grounds were beautful and staff was so nice. Grilling was special. Can't wait to return. 5/5 stars Review by Jackie R.
This place was just beautiful. The location was fantastic so close to shopping and dinning. Would Iove to visit again!! 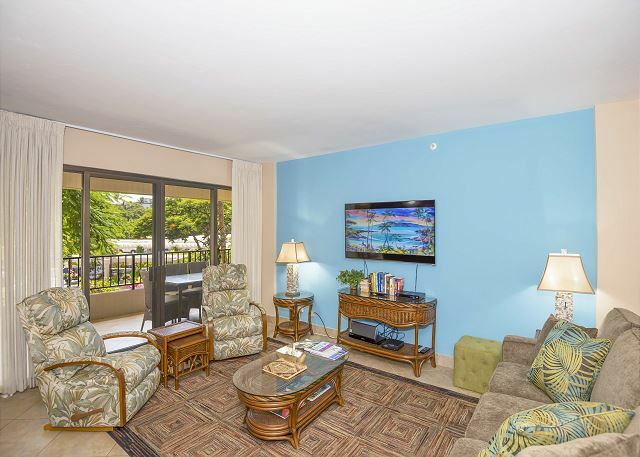 5/5 stars Review by Paula S.
We have stayed at the Alii for over 20 years in a variety of units. This was one of the best! Beautiful room, all the amenities, and very reasonable price. We will be back!